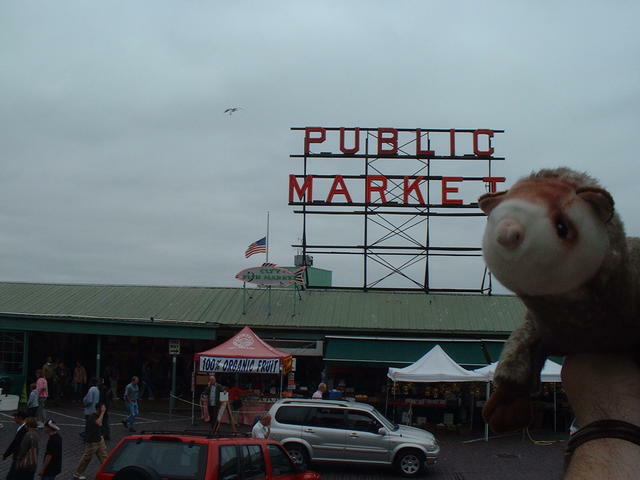 Pike Place Market, located on 1st Ave & Pike Street in downtown Seattle. Its a huge farmers market, filled with tons of fresh seafood, the best produce youll find anywhere, and enough winos and beggars to last a lifetime. Still, its a pretty cool place to wander (and watch your wallet).